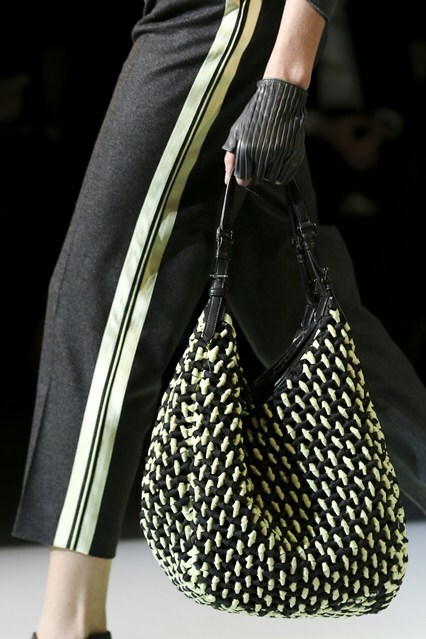 I’m always intrigued when fashion trickles up and can’t help but notice the subtle athletic details in the new Fall fashion. Yoga pants, leggings, and tricked out training shoes are everywhere on the street and top designers have taken notice. Some are not so subtle, Chanel has a whole ad campaign shot in a boxing ring complete with model in leather knee pads. Kudos to Karl Lagerfeld for staying current and designing couture street style. I’m sure his pieces will be gobbled up and worn by socialites who know how to mix it up just right. Of course the jacket is amazing and I bet those shorts are pretty awesome. I’m sure the H&M’s of the world are already knocking them off! Armani has a softer approach using an active stripe on pants that mirror training shorts at any cross-fit gym. These would look great on a tall girl with long legs! I have a friend that could rock these. Very Fresh looking. 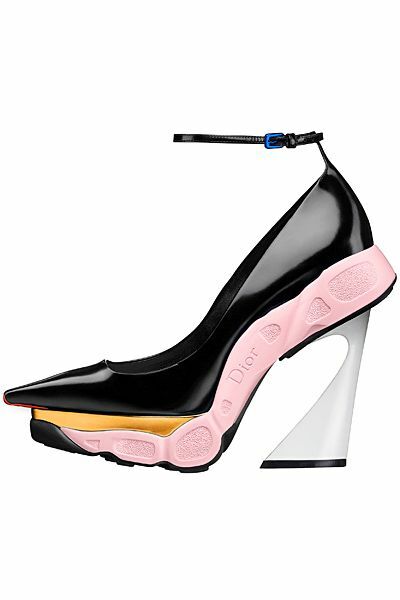 These Dior shoes are a hybrid that hopefully make walking in high heels a whole lot more comfortable. Yikes, can’t say that I love these but they will look great in a book! 20 Aug	This entry was published on August 20, 2014 at 7:59 am. It’s filed under Style and tagged Active details in Fall 14 Fashion, Armani Pant Fall 2014, Chanel Fall 14, Dior Fall 14 shoe, Fall 14 Fashion Trend, Moncler Fall 14 Coats. Bookmark the permalink. Follow any comments here with the RSS feed for this post.